Interdisciplinarity, problems of electric vehicles, drives, processing of electricity, operation of charging station infrastructure, energy savings. Studies focused on educating specialists. The Faculty of Electrical Engineering and the Requirements Engineering Association invite to the 5th edition of the Conference Requirements Engineering and Business Analysis – KIWAB, which will take place on June 10-11, 2019 in Warsaw. KIWAB is a conference for analysts, requirements engineers, product owners and all those who are involved in creating products. New specialties, practical approach, creative education. Data Engineering and Multimedia, Software Engineering, Computer Engineering, Cybersecurity, Information Technology in Biomedical Engineering. On April 26, 2019, the next Open Lecture will be held as part of the cooperation of the Faculty of Electrical Engineering with Citi Service Center Poland (CSC Poland). The lecture will take place at 14:15 in room 226 of the Warsaw University of Technology Main Building. On 6 and 7 of April 2019, Open Days took place at the Warsaw University of Technology. 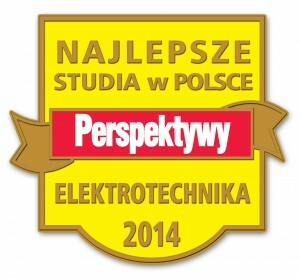 Numerous candidates came to see the rich educational offer of the Warsaw University of Technology, including the Faculty of Electrical Engineering. On 20th May 2019 the “Big Computing for Smaller Entities” workshop will take place as part of the international project Baltic Large Scale Computing, coordinated by the Faculty of Electrical Engineering of the Warsaw University of Technology. We invite you to like the Faculty of Electrical Engineering on Facebook! Information about studies, type of study, admissions process, information about faculty life.